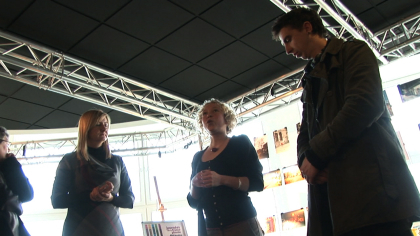 During this year’s “Journées de la Francophonie” festival, 3 exhibitions were organized. 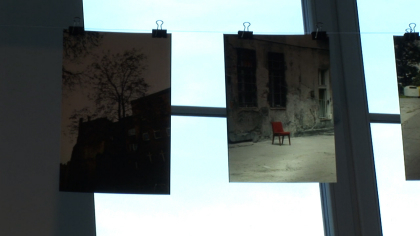 In this video are the views from their opening receptions. 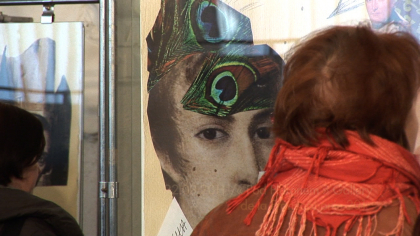 The first exhibition in the video is the exhibition of collages by the renowned Polish artist Hanna Bakuła on the theme of Frédéric Chopin’s life. 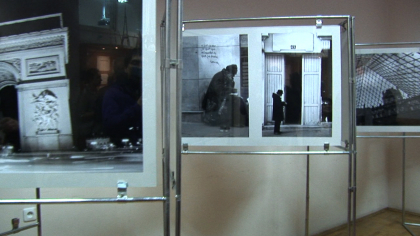 The second fragment presents the opening reception at the exhibition of photos by 2 students of the International University of Logistics and Transport (Międzynarodowa Wyższa Szkoła Logistyki i Transportu we Wrocławiu) on “Paris en hiver (Winter in Paris).” The third and the last potion of the video is from the opening reception of the photo exhibition “Vue d’un quartier: Photographie de Nadodrze,” a project of Lorette Guillou (FR) realized with Fundacja Dom Pokoju (the House of Peace Foundation) in Wrocław. Posted by toyo	on Friday, April 8th, 2011 at 7:25 am.